Voting has now closed in the Labour leadership contest, and we will know the results on Saturday. This week also sees the start of a new season for American football, in the National Football League. I have realised that Corbyn's supporters remind me of British NFL fans. 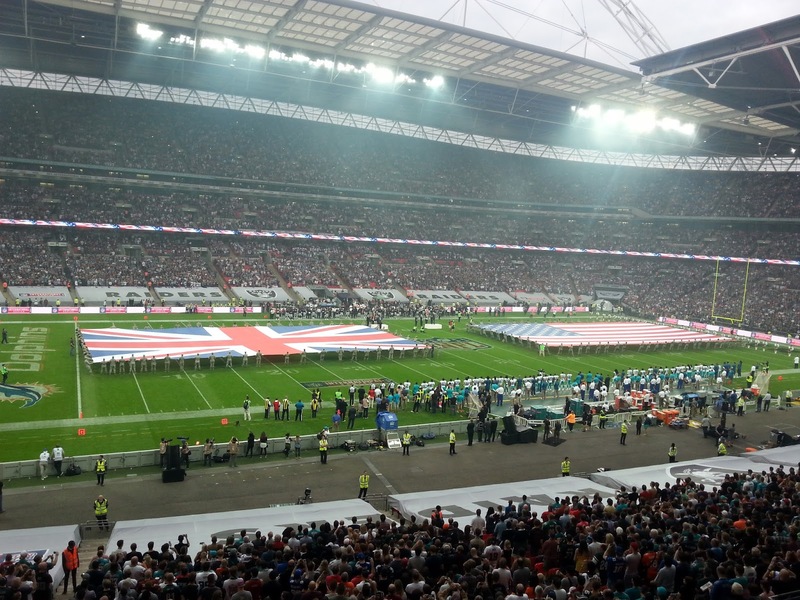 The NFL has a devoted following in the UK. In 2007, the league played its first regular season match in London's Wembley Stadium. It has played there every year since, increasing the number of matches to two in 2013 and three in 2015. The NFL has no difficulty in selling out the 90,000 seats at Wembley. I've been to one of these games, and they're great fun. The atmosphere is fantastic; it's not just supporters of the two teams who are playing, but fans of any other team who just want the chance to see a live match. It's ninety thousand cheerful and good-natured fans, united by their love of a game played with an egg-shaped ball by men in helmets, shoulder pads, and very tight trousers. These are just the paying customers; many more are watching at home on television. NFL at Wembley: Oakland v Miami, October 2014. Here's the thing, though: No matter how great the passion and enthusiasm of the fans, the NFL is not poised to take over the UK. It is strictly a niche interest. Football, rugby, and cricket will enjoy much greater popularity for the foreseeable future. I think you can see where I'm going with this. No matter how fervently Corbyn's supporters want him to win the next election, it doesn't mean he can or will. To the typical British voter, Corbyn may turn out to be as incomprehensible as an NFL match, and considerably more alarming. Relying on Corbyn to survive the inevitable monstering from the media and Conservative party; unite the parliamentary Labour party, whose views of him range from deep suspicion to open hostility; turn out a massive army of left-wing support, without simultaneously inspiring the not-so-left-wing to turn out and vote for other parties; and do it all with a reheated version of early 1980s leftism, seems wildly optimistic to say the least. If Corbyn wins the leadership contest, we'll have the chance to find out. Either way, I'm looking forward to a great NFL season; the Green Bay Packers are looking good this year. Edit: This is the 200th post on my blog since March 2014. Huzzah!